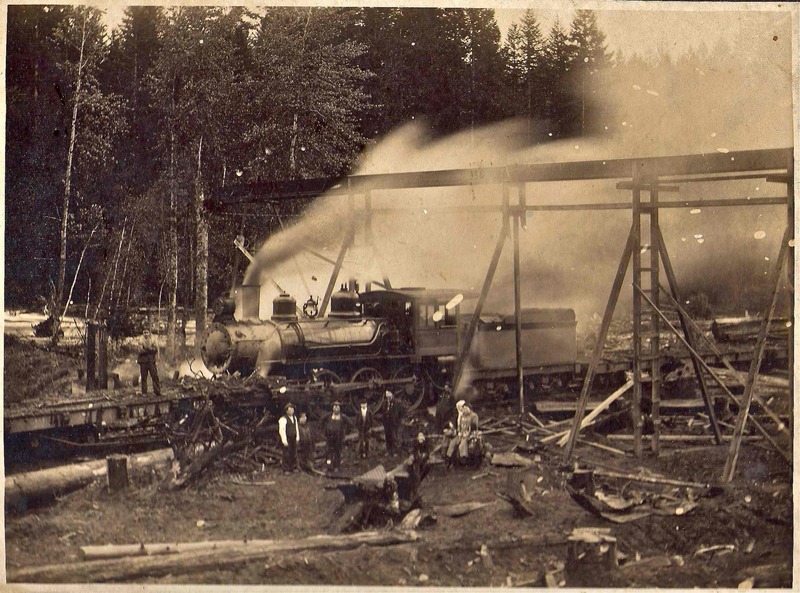 Eatonville to Rainier » Wreck at the Elbe Lumber and Shingle Co. Wreck at the Elbe Lumber and Shingle Co. Wreck at Elbe Lumber & Shingle Co. This photo is entitled “Wreck at the Elbe Lumber and Shingle Company”. A title like that deserves more story, but unfortunately I only have the picture. This wasn’t the first catastrophe for Elbe Lumber and Shingle. In September 1922, a fire started under the planing mill of the big plant (a mile north of Elbe) and completely destroyed the business, putting 100 men out of work. The loss was $150,000 ($2,010,000 in present day dollars) according to the manager and part owner, John Patton. There was no hard evidence as to how the fire started, but people believed it was the work of a disgruntled ex-employee.